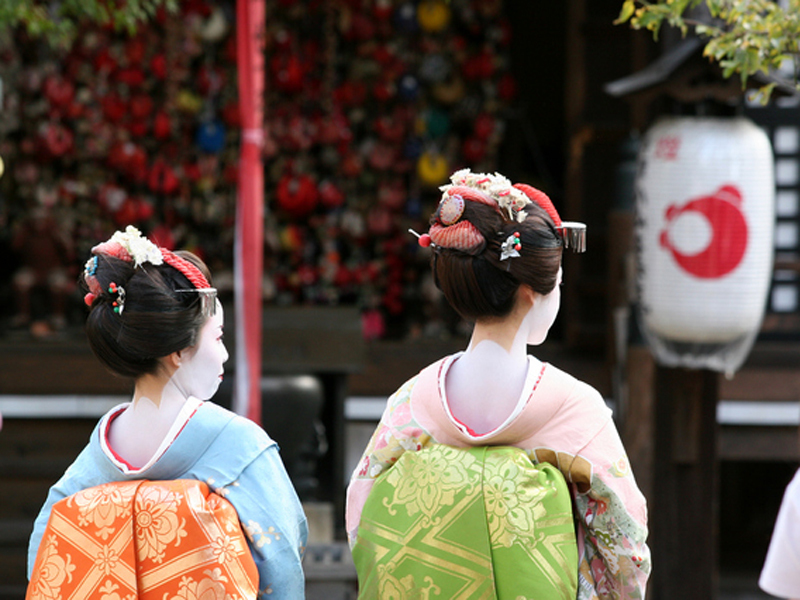 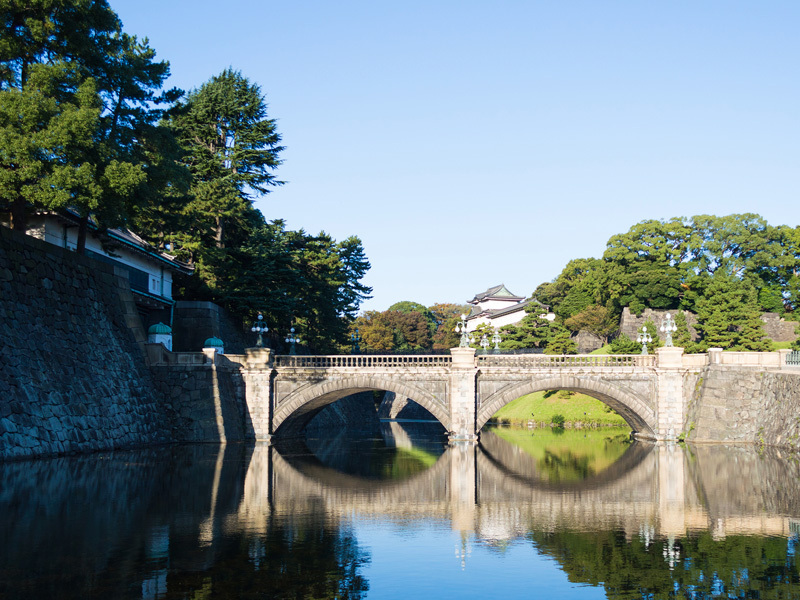 An 8-hour highlights tour to cover the touristic highlights of Nara. 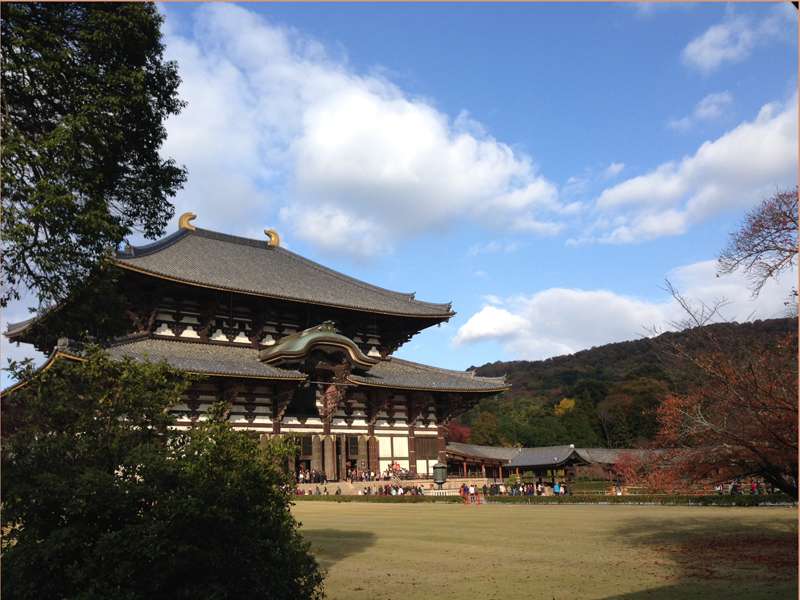 Rather known as the home of "Daibutsu" (Great Buddha), it is a landmark of Nara. 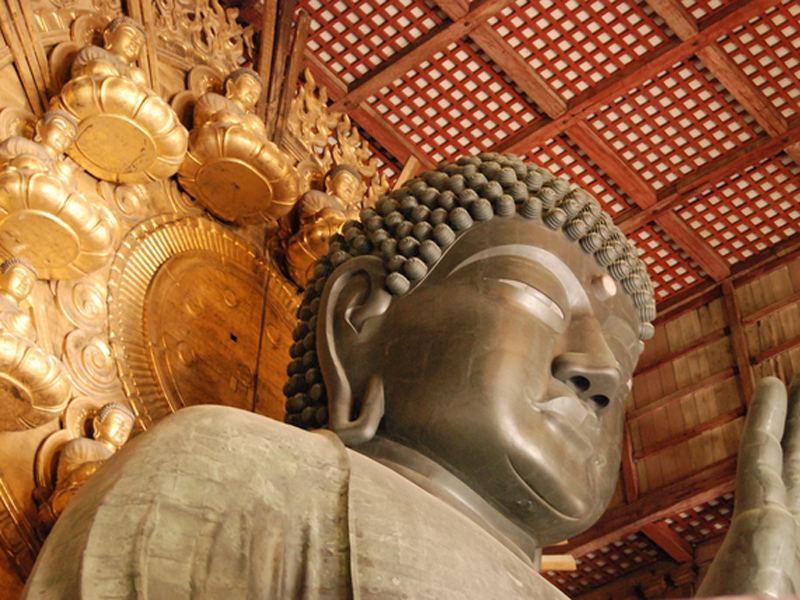 Inside the hall sits the great budda, 30 meters tall and weighing 250 tons. 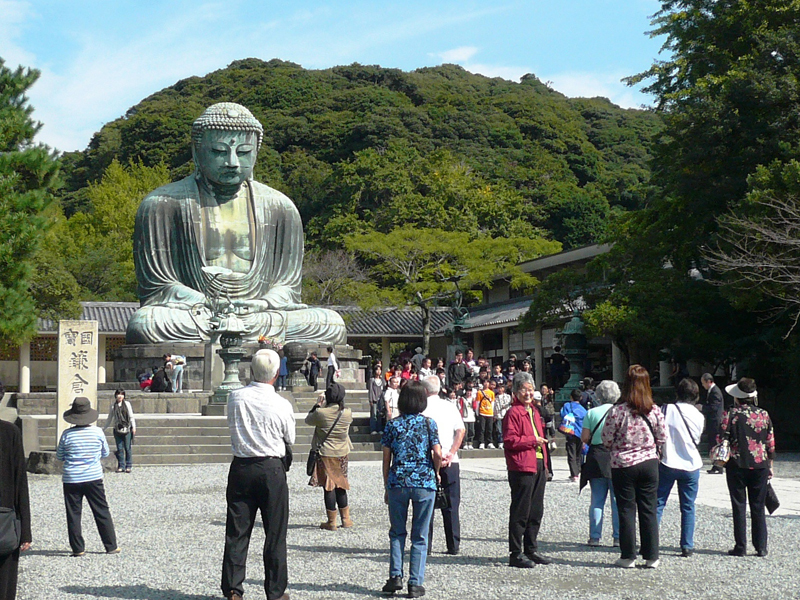 The Buddha is made of copper and bronze which is equivalent to several years' production of Japan's copper during the time. 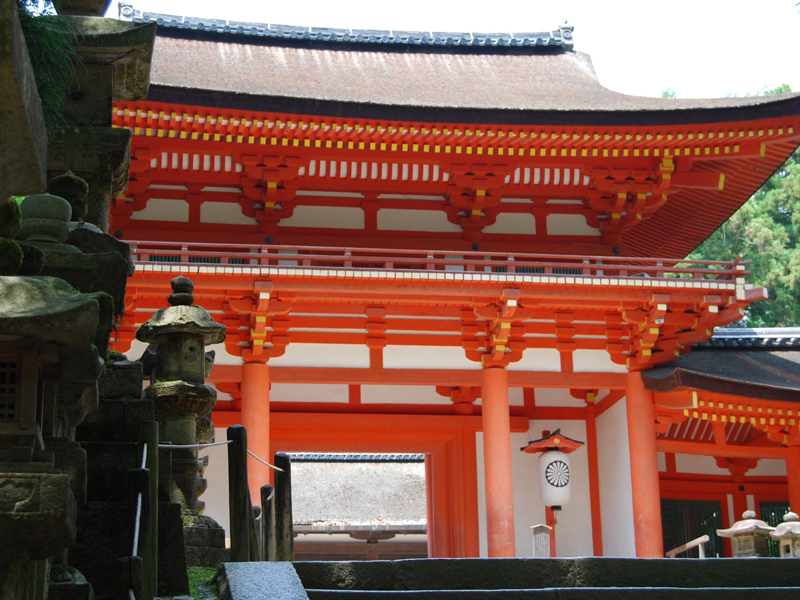 The temple was founded in 8th century by Emperor Shomu at immense cost. The building was rebult several times since then and the current one is the one from 1692, done by Tokugawa Shogunate. 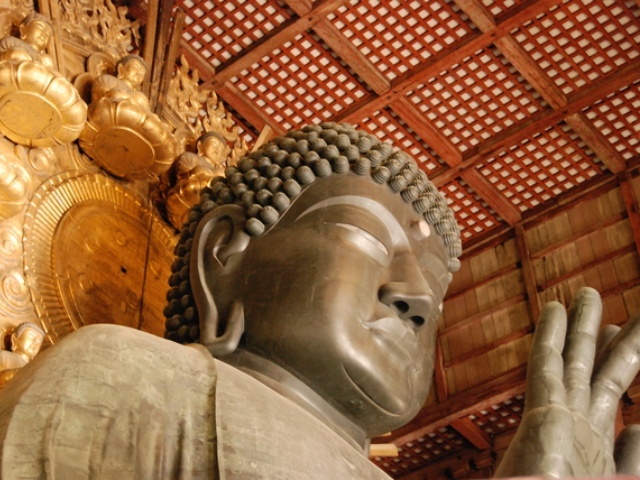 Besides the Great Buddha, the temple retains many national treasures including the statue of Nio Guradian Kings at the Nandaimon Gate. 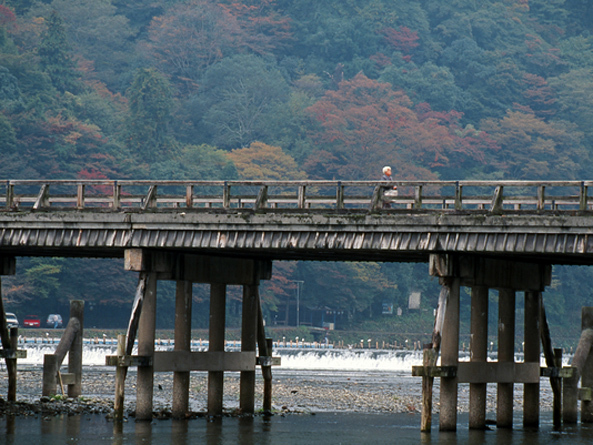 Designated as UNESCO world heritage. 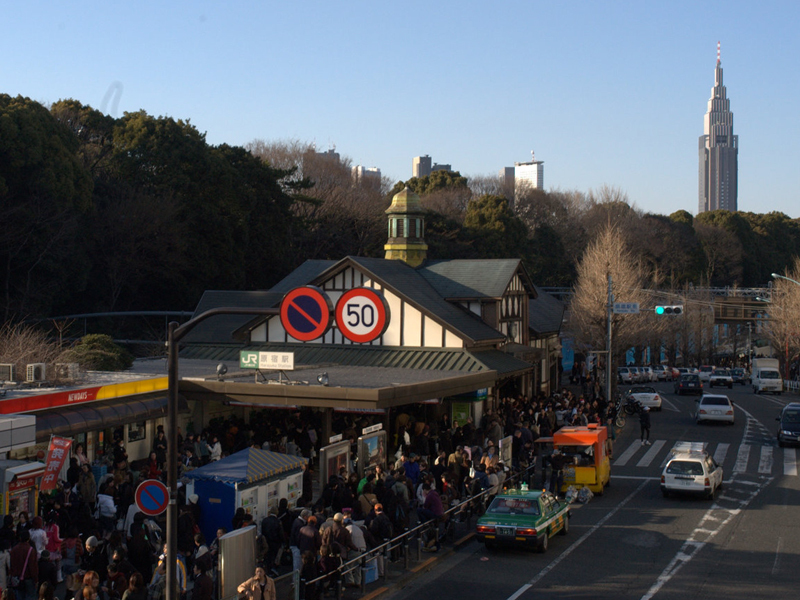 A huge park of 502 ha. 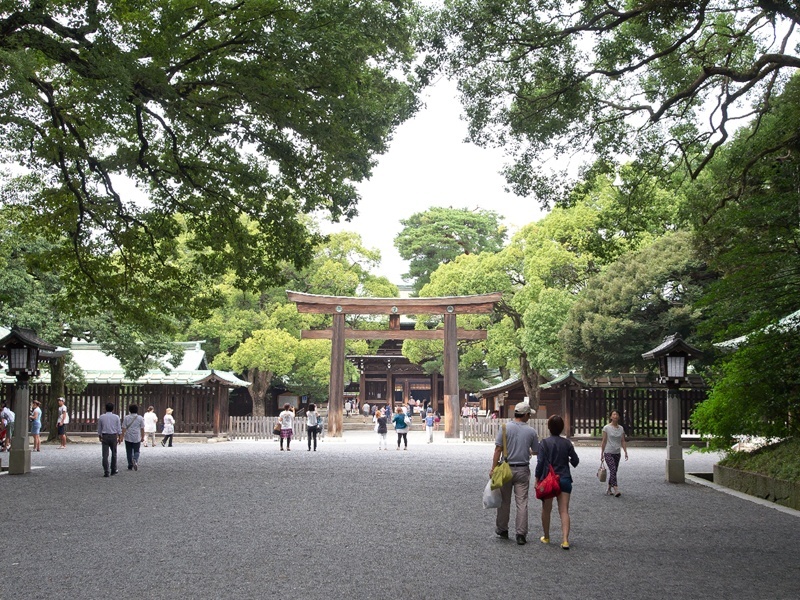 or 1,240 ac., housing many Nara's major attraction places including Todai-ji Temple, Kasuga-taisha Shrine, Kofuku-ji Templa, and Nara National Museum. 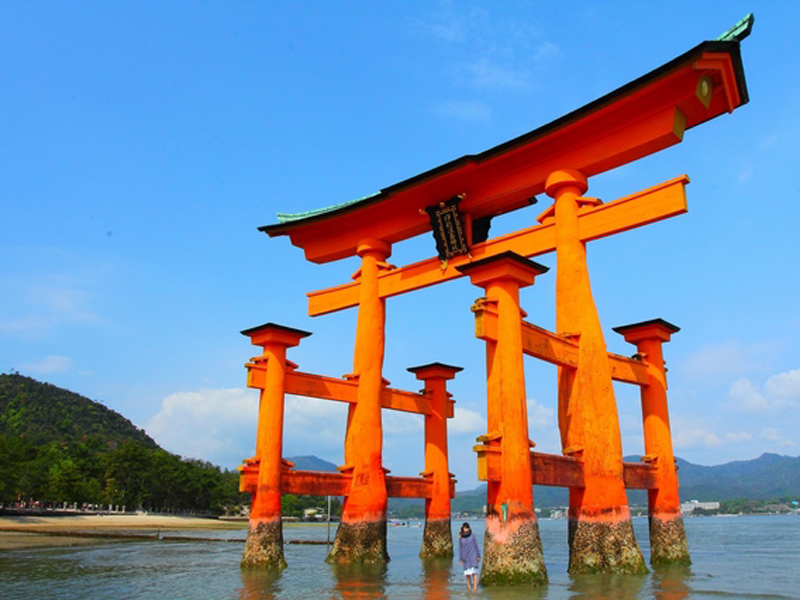 It is also home to 1200 deer, traditionally regarded as messengers of Shinto Gods, freely roaming around. 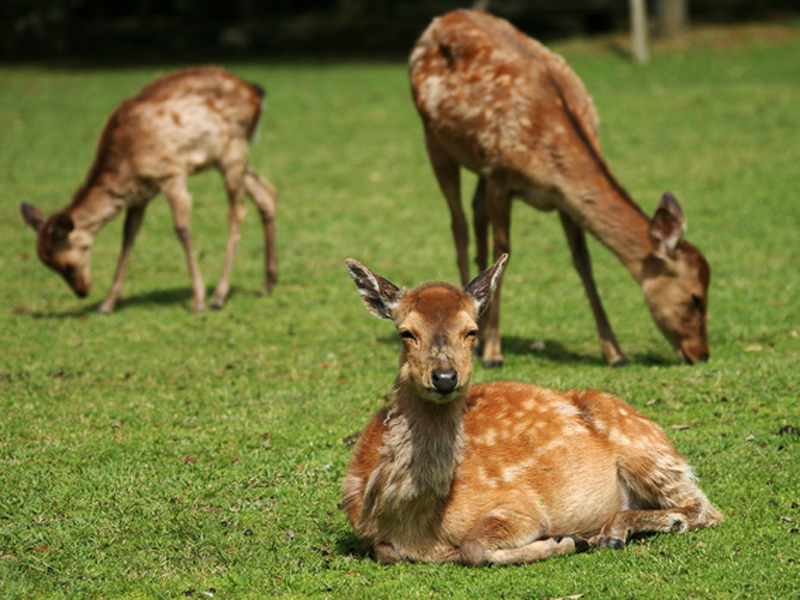 Deer cracker is available for feeding the deer. 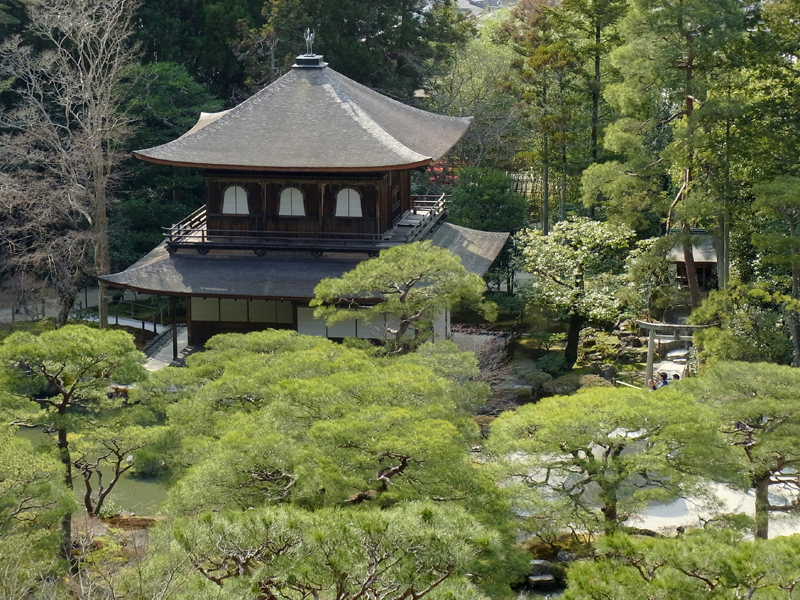 Founded in 8th century at the time Nara was the nation's capital as the Royal shrine of Nakatomi (later Fujiwara) Clan, a powerful family ruling Japan from 8th to 11th century. 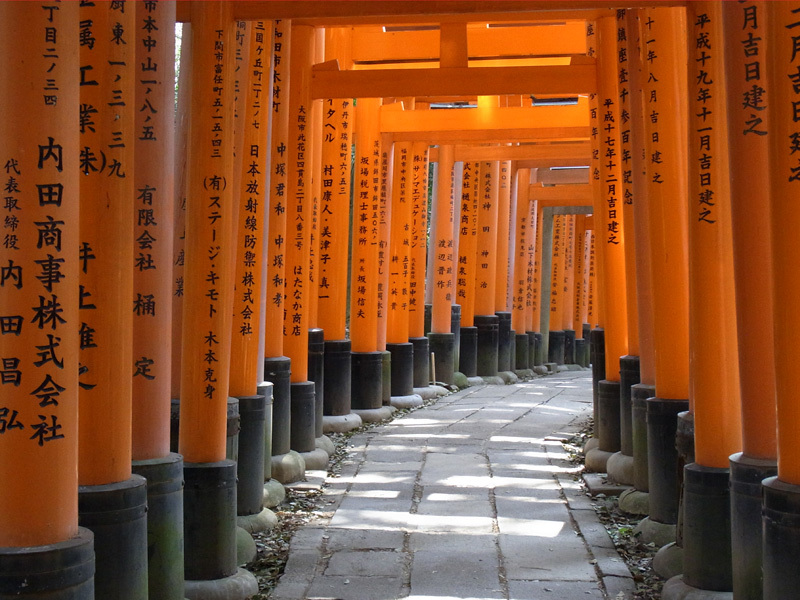 The temple is famous for 3,000 stone and bronze lanterns donated by its worshippers. 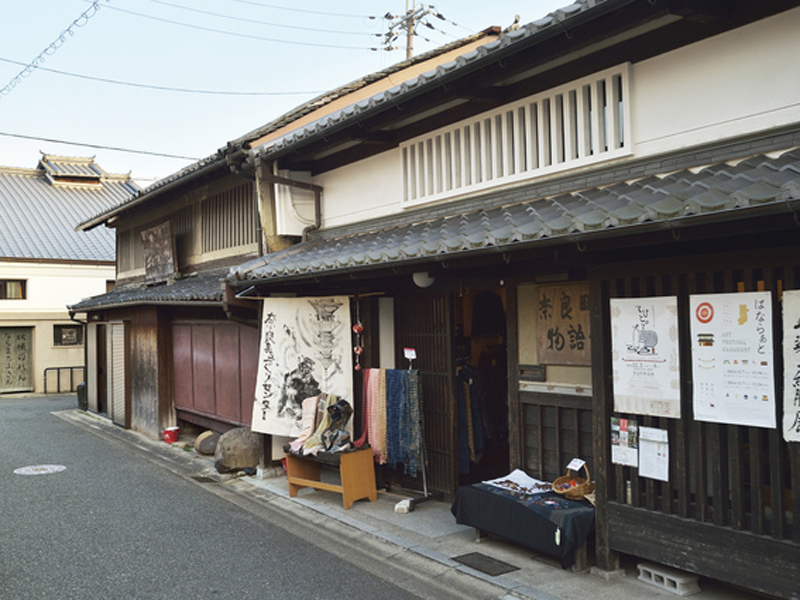 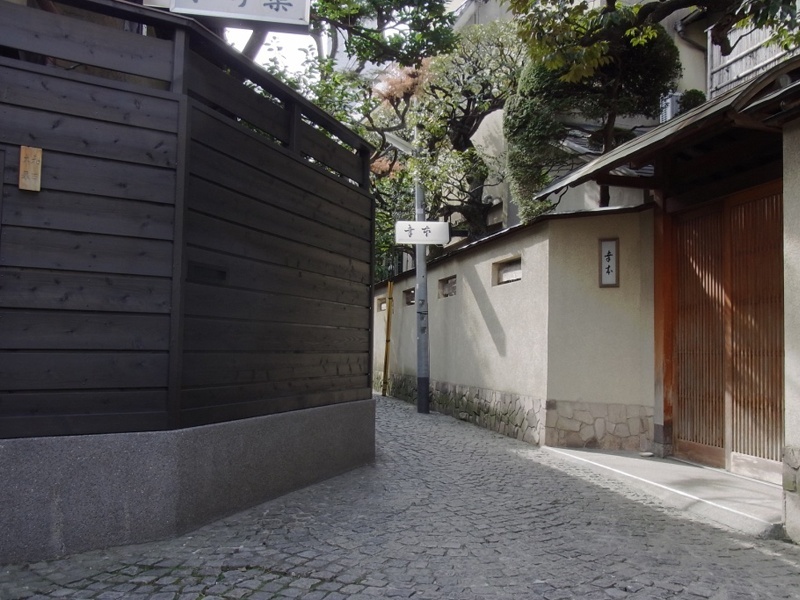 Naramachi preseves the atmosphere of the 19th century merchant district with many long, but narrow opening "Machiya" style houses can be seen. 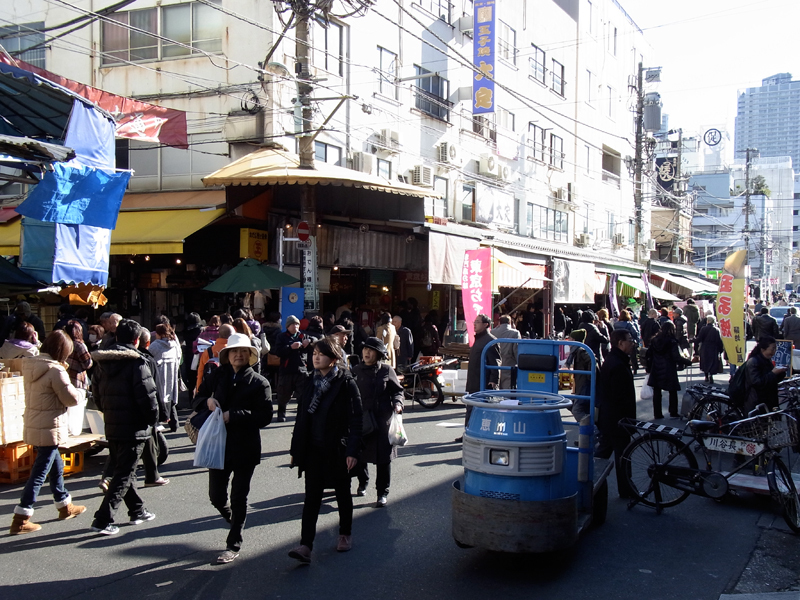 Some of them are being used as cafés, shops and galleries. 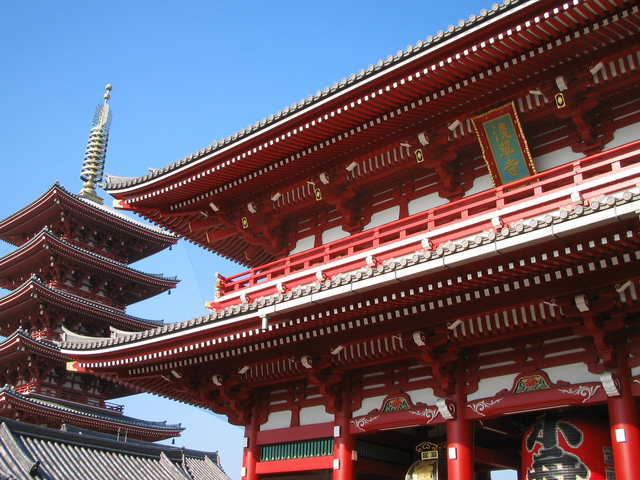 The temple was established in 710 when the capital was built in the same year. 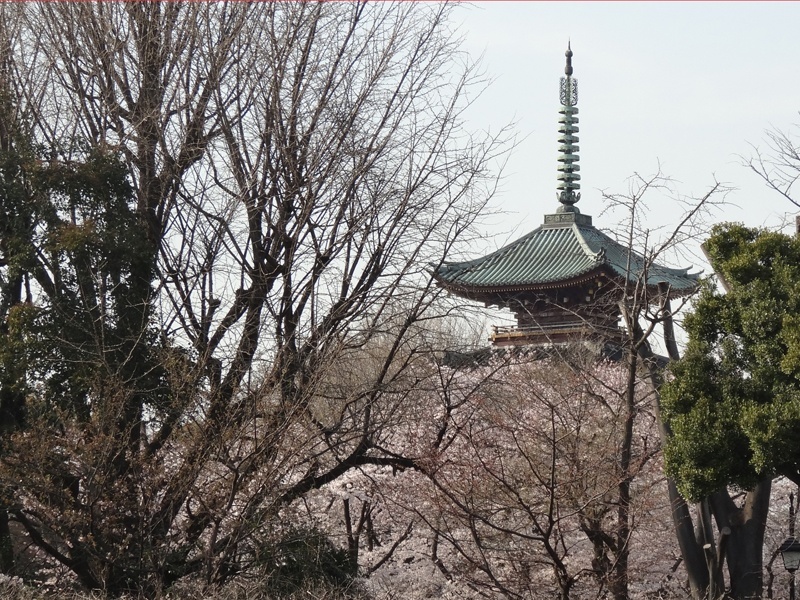 The temple consisted of as many as 150 buildings and many of them remains as national treasures. 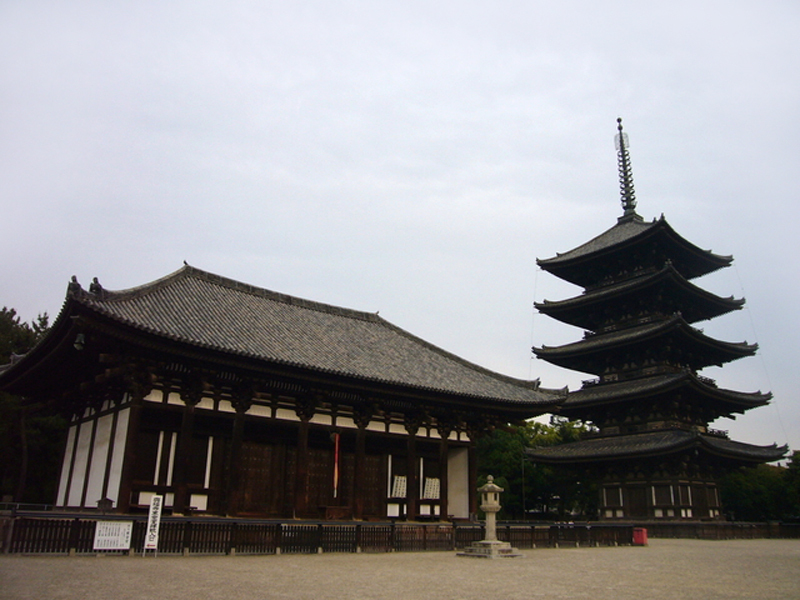 It is very famous for two pagodas, one of which is the second tallest five-storey pagoda in Japan standing 50 meters. 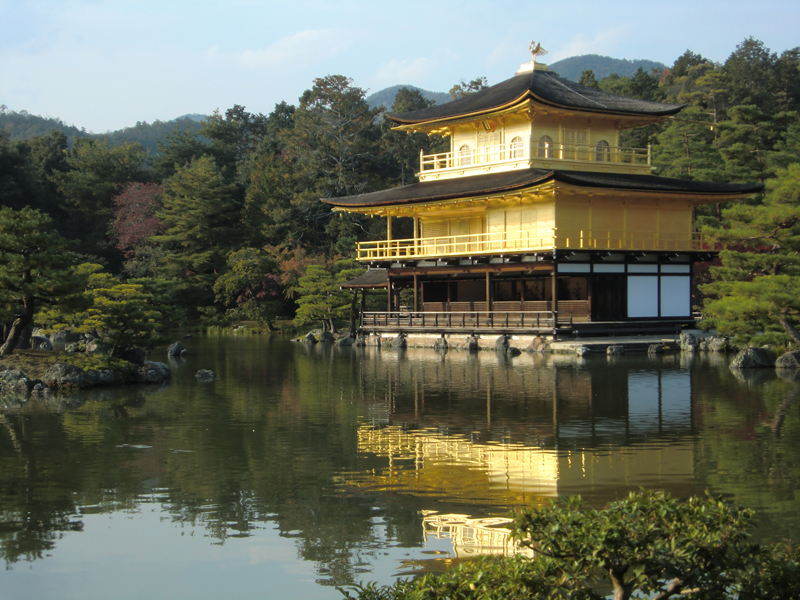 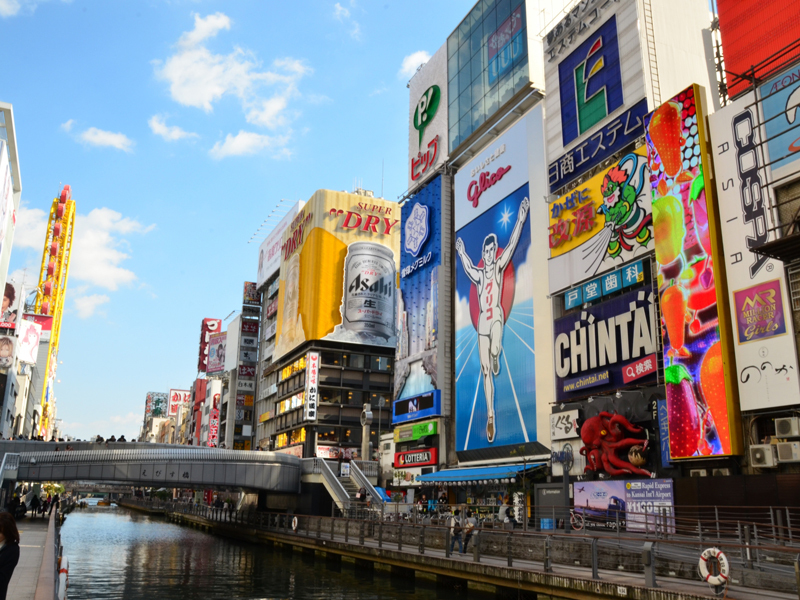 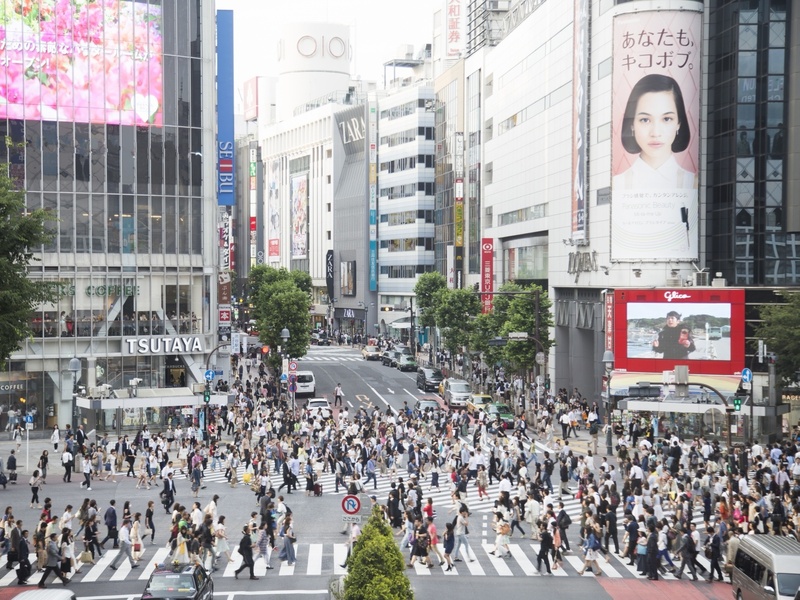 Suggested Start Time: Between 8:00 a.m. and 9:00 a.m.
Tour Starts at: Your hotel or other form of accommodation in Kyoto, Osaka and Nara.